This is the path we finally took. We started from Athens on 14th Sep, on a 41 foot Bevaria (names Spinaki) and ended back to Alimos on 28th. We visited many beautiful Islands from Athens to Santorini. 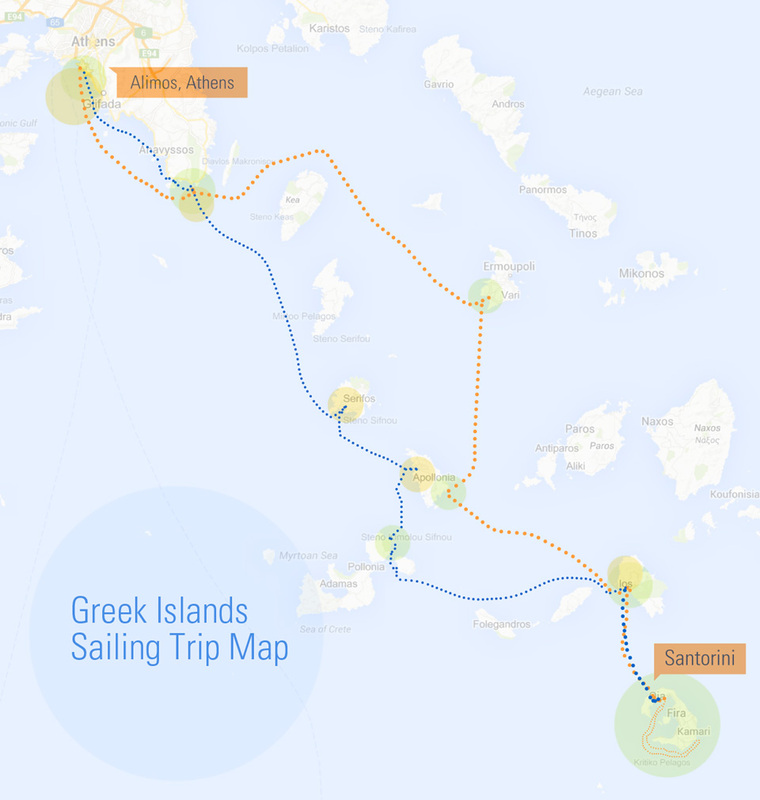 You can also see the Greek-Islands-Cyclade-Sailing-map-infographics document. Captain’s Message to the nation! Good morning to the finest crew ever to sail from Athens. I have the final embarkation instructions for 14th September, we will need to display our outstanding teamwork to have a smooth boarding. Firstly we do not officially start our charter, and therefore take possession of the boat, until 1700 hours on that day. Our boat, for the best two weeks a man can have, is the sailing vessel named “Spanaki”. She is a 41 foot Bavaria, schooner rigged, and will be at slip in The Alimos Marina, Athens. This is one of the easternmost marinas, which allows us the cleanest departure route at first light on Sunday. 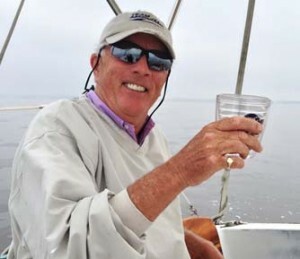 The boat will not be released to us, although we will be able to board and provision her, until they give me the captain orientation, and I put the damage deposit on my credit card. Since I am not scheduled to arrive in Athens until 1745 hours that evening, and probably will not be on board much before 1930 hours, we will need those crew members who arrive, or are already in Athens, to make contact with the charter company and arrange for some provisions to be put on board. I can give suggestions on what we need to whomever ends up taking on that task. Again, just a reminder to you all, I envision a 250 euros contribution from each of us for the food and drinks kitty. My intention is to have the orientation as soon as I board, and then join the rest of you in a fine taverna for our first crew dinner. Sunday morning, while Bo whips up a breakfast of champions, I will be setting our navigation parameters for the first day. We should shove off around 900 hours, en route for Sounion. We will have a number of crew exercises that morning to ensure our safety over the two weeks. (you all might like to learn how to say “can you please help us, we have thrown our captain overboard” in Greek). We will do man overboard drills, sail management drills and radio use drills. If the winds allow, It is my intention to drop anchor that first evening, in the cove under the shadow of the temple at Sounion bay. Plenty of tavernas ashore for our evening recovery, and to re-provision. Thereafter, we have no itinerary, we will go wherever the winds take us. Hopefully we will set sail for Mikonos the next morning, stopping wherever we need to on the way. Where is everyone? Should we send out an SOS?! Missing your updates and photo posting!